Amanda, When your kids start nursery school and elementary school a whole new world opens up. The world of packed snacks and lunches, snowpants every day in the winter, forms that need to be signed and library books returned. 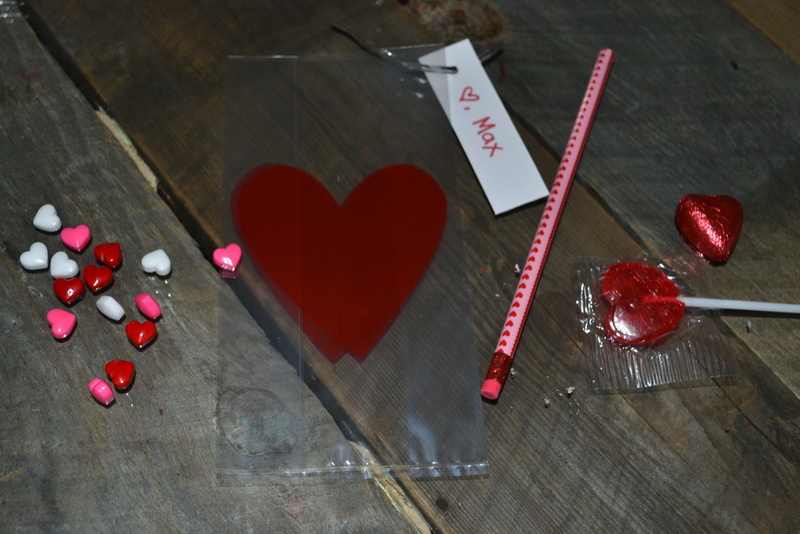 Among these joys is Valentines... cards or bags? Treats or pencils? Ahhh, the decisions to make. This is what I settled on. Bags for Max's class with pencils and treats. 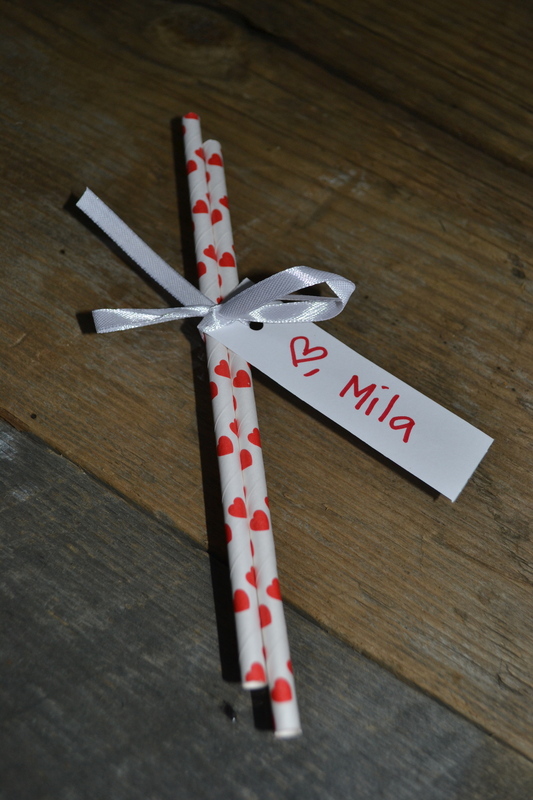 Straws for Mila's nursery school class since there are strict rules about food items there. I'd be lying if I didn't say that I did enjoy putting these together... a little bit. The other thing that happens when your kids are in school is you're in a state of nostalgia a lot of the time, reliving your own childhood and school days. 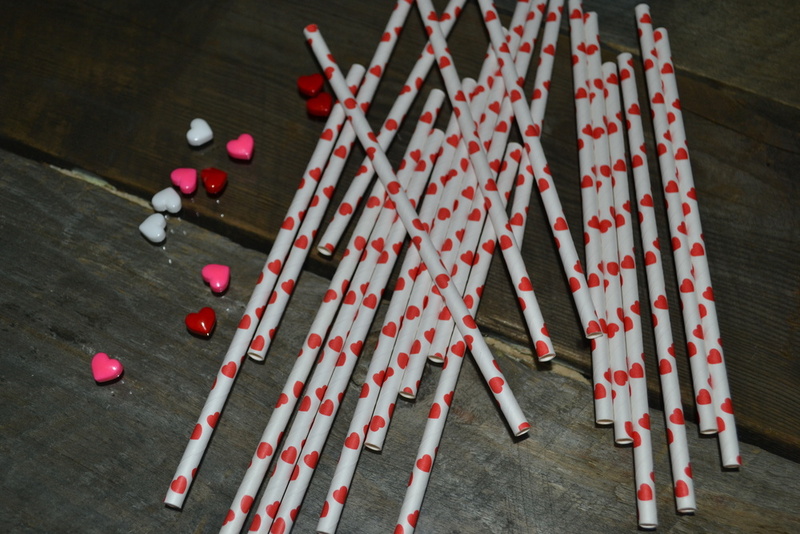 Remember Valentine-o-grams in high school? The anticipation and excitement at the possibility of getting one from someone you like? And then the exhilaration or disappointment when you don't? At my high school they would deliver them to your class throughout the day so you sat at the edge of your seat the entire day.